Sweet heat. And then some. I should’ve known I’d love these Dragon Fire wings so much that I would want more. Such a simple sauce but oh so addicting. Don’t let the sweetness of that first bite fool you. There’s heat coming and it’s coming fast. No question about it, Dragon Fire is easily one of my favorite wings of all time. I used apricot preserves to make the Dragon Fire wings sauce. Peach would also work just fine. You can also substitute for the Sriracha sauce. Any good hot sauce or even Buffalo wing sauce would work just as well. You’ll want something to cool you off a bit, so try dipping your wings in my Wild Wings dipping sauce. Also try my Detroit hot honey wings. They’re yummy! Place wings into a large resealable bag. Add the rub. Seal the bag, and toss gently to coat. Refrigerate for 1-3 hours before cooking. Cook wings as desired. Click here for our guide on cooking wings in a grill, smoker, deep fryer, oven, or a Char-Broil Big Easy. While the wings are cooking, make the sauce (see below). Serve wings tossed in the sauce. Combine the ingredients in a medium saucepan over medium heat. Reduce heat and keep sauce warm until ready to use. 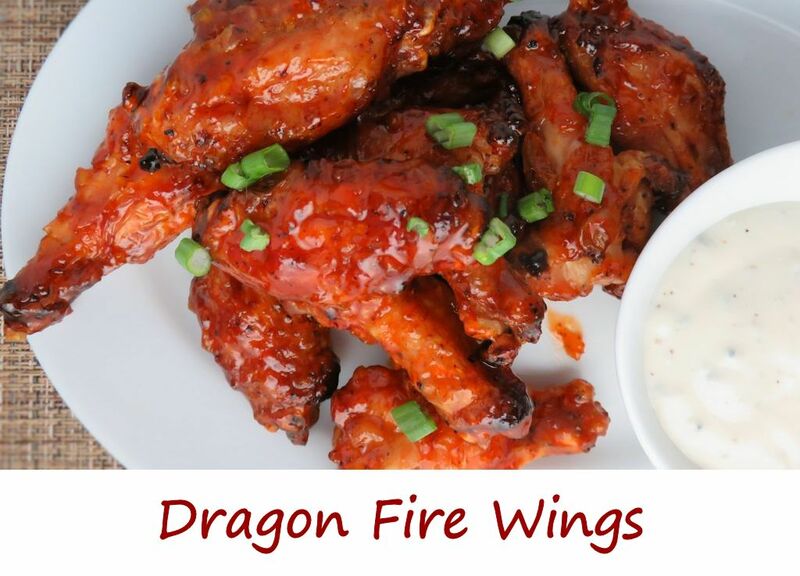 This entry was posted in Chicken Wings and tagged Dragon Fire Wings, recipe by Mike. Bookmark the permalink.